A bus accident left two dead, and students took to the streets to protest. Nearly a week later, PM Sheikh Hasina has urged them to ‘go home’. New Delhi: Bangladesh is in the throes of another political crisis. For over a week, Dhaka has been at a standstill as thousands of students have taken to the streets protesting corruption in the transport department. Journalist and photographer Shahidul Alam was picked up from his home Sunday night by the detective branch of the police, hours after his interview with Al Jazeera regarding the ongoing protests. Months before general elections are to be held in December, the youth wing of prime minister Sheikh Hasina’s Awami League, the Chhatra League, is believed to be at the forefront of shutting down the protests along with the city police. Journalists covering the protests are being beaten up. Several photographers have had their cameras snatched. Internet activity is being curtailed to inhibit protesters from making live videos of the atrocities. The protests began with the deaths of Abdul Karim Rajib and Dia Khanam Meem when a speeding bus allegedly rammed into them, killing them on the spot. Seven others were also injured in the accident. Students from over 20 schools and colleges had called for immediate changes in the transport laws pertaining to the grant of licence and reforms in the traffic conditions of Dhaka. Nearly a week after the accident and subsequent protests, Sheikh Hasina released a statement urging student protesters to “go home”. “We are now worried about your security as the perpetrators of arson attacks (2014-2015) may stage sabotages… a quarter is out to catch fish in troubled waters,” the state-run BSS news agency quoted her as saying. This is the longest serving democratically-elected government in the history of independent Bangladesh. However, it has been mired in knee-jerk reactions to student protests and demands. 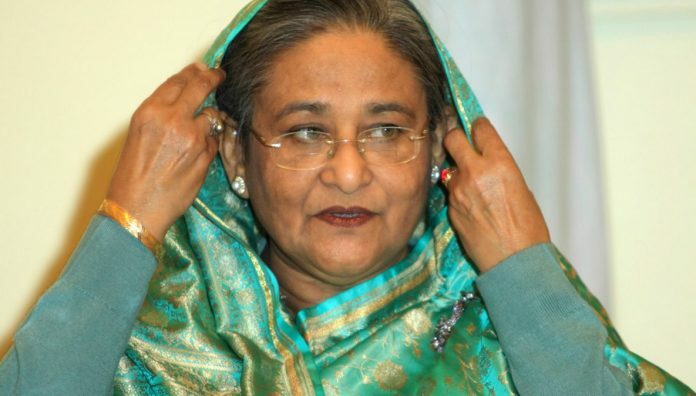 The Sheikh Hasina government had been extremely cautious about the mass student protests against the quota system in April this year, which were further fuelled by the government’s inability to end the decades-old quota system in public services. The Bangladesh government has been paranoid about such protests, especially in an election year. It does not want such protests to become a rallying point for its opponents. Also read: In ending reservation in govt jobs, is Bangladesh being held hostage by its masses? Incidentally, Sheikh Hasina was supported by thousands of students in the summer of 2013, when the Shahbagh movement was at its peak. Sheikh Hasina and her government has now turned its back on the students, apprehending their ability to change governments and lead mass pro-democracy demonstrations. Therefore, students are being labelled and targeted as protesters who are trying to destabilise the government. Speaking to ThePrint, Pinak Ranjan Chakravarty, India’s former High Commissioner to Bangladesh, said that any party that has come to power in Bangladesh has shown traits of authoritarianism, with power concentrating in the hands of the prime minister and a select few family members.